Sussex, UK: A spectacular 40-metre addition to the Sussex skyline celebrates Mazda's racing heritage at this year's Goodwood Festival of Speed. Mazda's famous 1991 Le Mans 24 Hours winning 787B to star at the Festival of Speed. 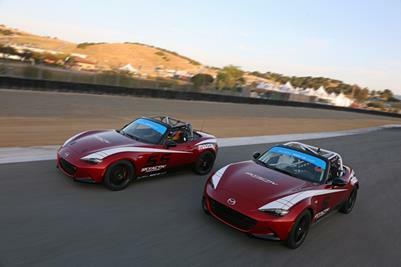 Iconic Mazda race cars from both sides of the Atlantic will take to the famous Goodwood hill.